Why is nutrition important after a catastrophic injury? This 3 minute video explains everything you need to know. Supervision of support workers to monitor the weight of all clients — assessing clients for their risk of becoming malnourished and reducing the risk of clients becoming overweight/obese. Training sessions for support workers on why nutrition is important, how to devise healthy menus, how to interpret bowel charts, and how to manage type 2 diabetes and other health conditions. Assistance with capacity assessments around food and eating. Presentations at local staff meetings and national conferences on the link between nutrition and catastrophic injuries. Assessments to see if a client is meeting his/her nutrient requirements to maximise rehab potential and recover from surgery. A second opinion for families when tube feeding is being considered. Support and education for clients on how they can achieve a weight which is healthy and sustainable for them. Advice and suggestions on how to implement a texture-modified diet or manage a chronic disease such as type 2 diabetes. Collaboration with the GP to manage constipation, gut issues and fatigue. Adequate nutrition and hydration helps make rehabilitation more cost effective by supporting clients to get the most out of all of their therapeutic input. Just like an athlete needs a steady supply of nutritious food for his/her body to function at its peak, so do clients after a catastrophic injury. Dehydration, deficiencies of certain vitamins and minerals and/or gut problems such as constipation, are all quite common in clients after a catastrophic injury and can make fatigue, “brain fog” and spasticity worse. You want to make sure these basics are covered before seeking out more expensive therapies and pharmaceuticals to solve the problem. Anthropometrics (eg. weight, height, BMI, waist circumference). Clinical information (eg. medical history, medication). Dietary information (eg. whether nutrient needs are being met). Video-conferencing appointments are the most cost effective option when appropriate. 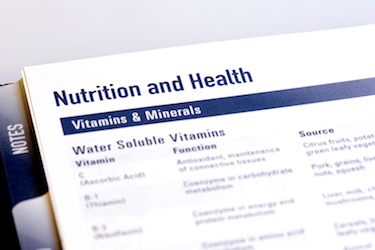 A client who has been under an NHS dietitian for several years continues to be underweight in spite of being prescribed several oral nutrition supplements and being reviewed every 3 months. His diet is quite limited due to oral sensory issues and an erratic sleep patterns meaning meals and nutrition supplements often get missed. Solution: I worked with the neuropsychologist to implement a sleep schedule, trialed the client on alternative nutrition supplements, trained support workers on the importance of healthy food and the need for nutrition supplements to be given consistently like medication, and worked with the client and support workers to increase the variety of foods offered. The family of a child with cerebral palsy want a second opinion after the paediatrician says the child needs to have a gastrostomy tube placed. In spite of being under an NHS dietitian and being prescribed oral nutrition supplements, the child is not gaining sufficient amounts of weight. Her food intake at school is also significantly less than what she eats at home. Solution: I observed the child’s food intake at home and at school, addressed factors which were reducing food intake (such as where and how food was offered at school), requested blood tests from the GP, trialed the child on different nutrition supplements, arranged for a sleep monitor to see if fatigue was reducing her food intake, and held MDT meetings with the paediatrician, school nurse, speech and language therapist and school so that everyone was working together. A care home requests support from a dietitian when a resident with a brain injury is on multiple daily laxatives and has chronic diarrhoea. The diarrhoea is preventing him from using hydrotherapy and affecting his ability to access the community, while the associated abdominal distension and bloating are contributing to agitation levels. Solution: I worked with the GP to switch laxatives to PRN and change the type of laxatives prescribed; worked with the care home staff to implement a low FODMAP diet specifically for someone with Irritable Bowel Syndrome and developed accompanying menus, recipes and lists with what foods the staff were allowed to give him. A client with type 2 diabetes is steadily increasing in weight. It is unknown whether she has capacity to understand the consequences of her food choices so the support workers just let her choose whatever she wants to eat at mealtimes. Soon she will require a bariatric wheelchair and two support workers for transfers instead of one. Her positioning in her moulded wheelchair is currently compromised because of her weight and she is at higher risk of developing pressure sores. Solution: I conduct a capacity assessment, trained staff on type 2 diabetes, developed a plan with meal and snack ideas, and ensured her diet was meeting her nutrient requirements to preserve skin integrity. 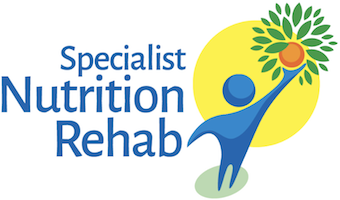 Hi, I’m Sheri, registered dietitian and director of Specialist Nutrition Rehab. I help people with brain injuries, spinal cord injuries and orthopaedic injuries maximise their health while eating foods that they love. As a registered dietitian with over 20 years of community-based experience, I’ve helped hundreds of clients achieve their goals. I try to make sure that the advice I give out is as helpful and practical as possible. For example, I know many clients are not keen on nutrition supplements so I’ve developed homemade milkshake recipes to replace them whenever possible. I’ve even eaten pureed food and thickened fluid — all so that I can really understand my client’s perspective and all of the the little changes required to improve their quality of life around food and eating. After all, nutritious food provides the building blocks needed to heal and repair the body after a catastrophic injury. Yet life is short, so no one wants to spend it eating food they don’t like. My job is to do everything I can to help your clients fuel and nourish their bodies for rehabilitation in a way that fits into their life and their taste preferences. It is also my job to catch nutritional and weight problems early so that we can prevent chronic disease down the road. the Occupational Therapist – around nutritious meal preparation, food shopping and eating out. 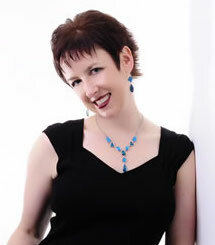 I have recently started working with Sheri and she oversees the nutrition plan for my client. This client does not enjoy food due to oral motor hypersensitivity and he needs his support staff to fully understand how to prepare his meals and what type of meals to prepare. Good nutrition is vital to ensure he has good skin condition as a wheelchair user and he needs the “fuel” to enjoy his busy daily schedule. Sheri has ensured the staff are monitoring his food intake, his weight and BMI. She ensures the care plan covers nutritional advice and provides training for the support team. A really excellent service and he is steadily gaining weight. I have been working with Sheri since 2016. She has a very functional client centred approach to managing nutrition and the complications around diet that can follow a brain injury. She has taken the time to personally understand what it is like to eat a modified diet and from her own experiences has looked carefully into ways in which clients can maintain nutritional goals whilst having as ‘normal ‘ a diet as possible. Her supplement shakes have been a great hit with my clients. Sheri has certainly increased my knowledge around the impact of brain injury on nutrition and the impact of nutrition on brain injury. I would have no hesitation in recommending Sheri. Sheri uses a client focussed and dynamic approach to working with complex clients with acquired brain injury. Through this approach she is able to engage clients and their support teams to help them achieve the best possible outcomes. Sign up for monthly nutrition tips and advice that can benefit all of your case management clients.